Strictly Confidential - No Data, No Pay! As long as your hard drive still spins, there is an excellent chance of recovering your lost data. Vitals Web Data Recovery services are completely confidential. Your data belongs to you. We deliver sensitive or proprietary data directly to you. Mechanically Failed Drive or Data Recovery Requires "Clean Room"
We do not diagnose / repair mechanically failed hard drives. That type of recovery requires "CLEAN ROOM" facility. We are an Authorized Reseller Partner for DataRecovery.com you will receive a 10% discount. If there is no data recovered, there is no charge policy. » What is a "Clean Room"? These are the facilities used to assemble or service hard disks. They are environmentally controlled and dust-free. It is a room in which the concentration of airborne particles is controlled to specified limits. Eliminating sub-micron airborne contamination is really a process of control. These contaminants are generated by people, process, facilities and equipment. They must be continually removed from the air. The level to which these particles need to be removed depends upon the standards required. » What Are Your Customer Benefits? Discounted data recovery services, including a no data, no charge policy. Fastest Standard turnaround time in the industry at 24 to 48 hours. 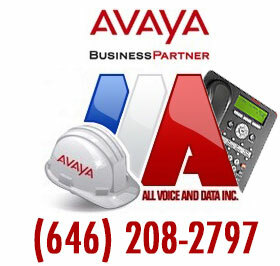 Immediate phone access to experienced Data Recovery Advisors 24/7/365. Initial estimate remains firm and never exceeds the maximum amount quoted: no upfront costs, no hidden cleanroom or parts fees—ever. Instant and secure data download within minutes after recovery is complete. Authorized and recommended by leading manufacturers - therefore data recovery work will never void the original warranty. We would be happy to evaluate your media for data recovery options when you bring your media to our shop. If we can recover your data, we will give you an estimate after evaluation is completed. If we cannot recover your data but we feel that it could be recovered, we will suggest to contact our data recovery partner with the "Clean Room" facility for further service and discounted rate. On-Site Data Recovery Evaluation Service is $30 flat rate. Pick-up Service is $40 flat fee and Data Recovery Evaluation Service is $30. As long as your hard drive still spins, there is an excellent chance of recovering your lost data. Vitals Web Data Recovery services are completely confidential. Your data belongs to you. We deliver sensitive or proprietary data directly to you. We have extensive experience working with HR data, financial data, images, music, movies, proprietary and other sensitive data types. We assure complete confidentiality of your information. Contact Us for Evaluation of getting back your lost data. » We do not diagnose / repair mechanically failed hard drives. That type of recovery requires "CLEAN ROOM" facility. In case your hard drive is mecanically failed, sunken, toasted, damaged, etc... we can refer you to one of our partners, and you will get a discounted quote. You will get a discount on your quote for "Clean Room" recovery service. We are an Authorized Reseller Partner for DataRecovery.com - Data Recovery company. You will need to ship your media to them if the price is right for you. If there is no data recovered, there is no charge policy. Data Recovery has fastest standard turnaround time in the industry at 24-48 hours and immediate phone access to experienced Data Recovery advisors 24/7/365. Initial estimate remains firm and never exceeds the maximum amount quoted. » What Data Will You Get Back? We can recover all data that was written on your hard drive or flash drive from day 1 of its existence. You choose what data you need and we recover that data to another media. We use top of the line forensic equipment and software for data recovery and data destruction services. Perspective clients like you often ask, "What is your success rate?" Anybody can formulate numbers to impress you, so we'll answer your question differently... if your data physically exists on your hard drive and hard drive is spinning, we will get it back for you. Our success recovery rate is 98%. » When Will You Get Your Data Back? We carefully evaluate each situation to insure that we can extract your data without causing additional damage, and we use state of the art hardware to insure that your original media remains untouched. We will never attempt a recovery if it can not be done safely. Recovering your data requires two steps: a Diagnostic Test and the Recovery Phase. The diagnostic test usually takes from 2 hours to 2 days and determines two points: whether your media has a mechanical failure or if the basic filing system has logical problems; after that we can tell you what data is recoverable. The reason for producing a complete structure listing of all recoverable data for you to view is… prior to you making any further financial commitment, we want you to see what data is recoverable. If the data you are looking for isn't recoverable, then you shouldn't have to pay for it, right? If you feel like you needed your data back yesterday or if you are in a panic to see what data is recoverable, then our data recovery service is for you. Rest assured, that your media is being diagnosed and recovered 24 hours a day, non-stop, even on weekends, until your data is safely in your hands. Complete the Contact Form. » How Much Data Recovery Would Cost? Type of media – Is your media a hard drive, floppy, usb device, etc.? Capacity of the media – How large is your media, not how much data is currently on your media? Type of operating system – With what operating system have you formatted your media? Based on the information you provide us, you will be given a specific data recovery quote. Simply complete the Contact Form.